The Christmas market in front of the cathedral is not the only of its kind in Salzburg, only the biggest and most famous one. This picture was taken on the Alter Markt Square. There are several Christmas Markets in Salzburg, and even more in the villages of its surroundings. Note for example those in St. Gilgen or St. Wolfgang in the Salzkammergut. 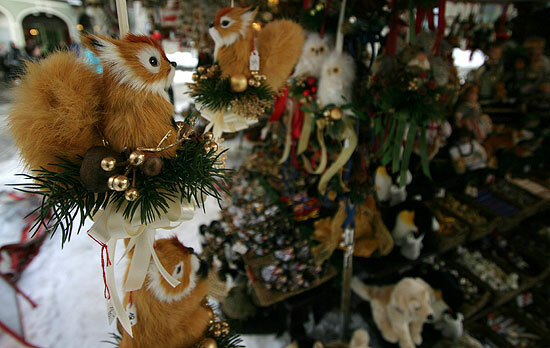 From mid-November to Christmas, you will find Christmas Markets pretty much anywhere in Austria.